Ochazuke is a traditional Japanese soup also known as “Japanese Steeped Rice.” Any version of this classic dish includes green tea poured over rice in a hot water broth. This recipe from Bon Appetit builds on those basics with the addition of ginger, furikake, nori, spinach, mushrooms, and a poached egg for a heartier take on the Japanese staple. This recipe from bacon+egg+cheesecake draws inspiration from ochazuke, but pours black tea miso soup over black tea-infused rice. 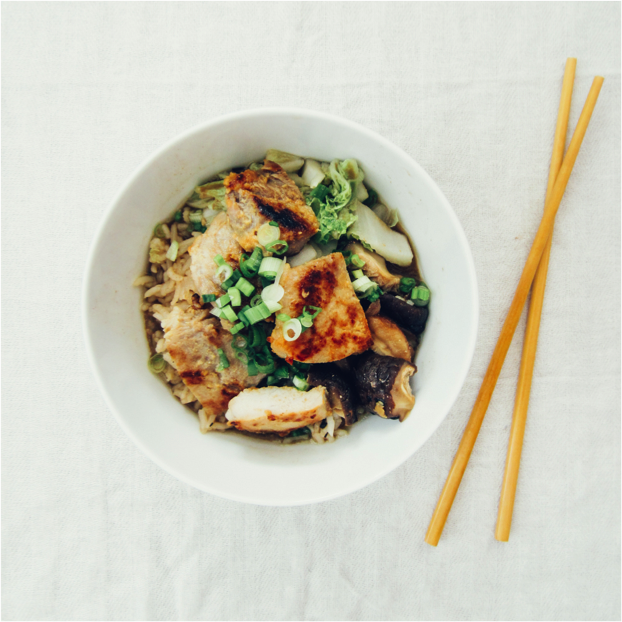 Other ingredients include napa cabbage, mushrooms, and miso-marinated pork. Top with chopped scallions for a textural finish. 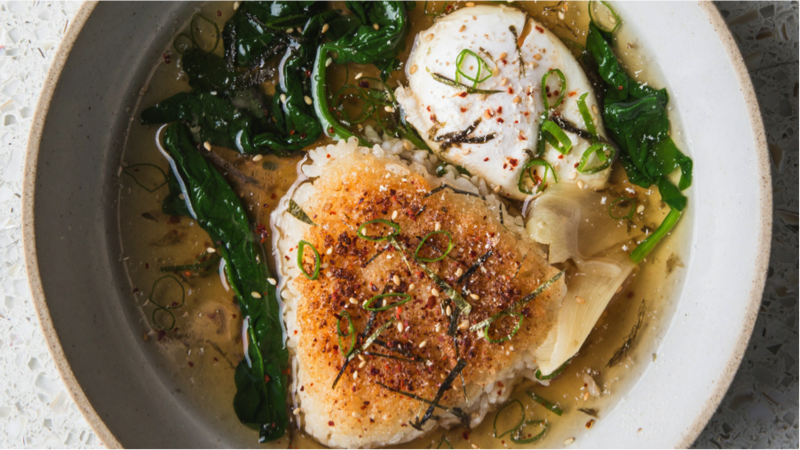 This recipe from She Knows uses a green tea broth to set the stage for a confluence of Asian flavors. 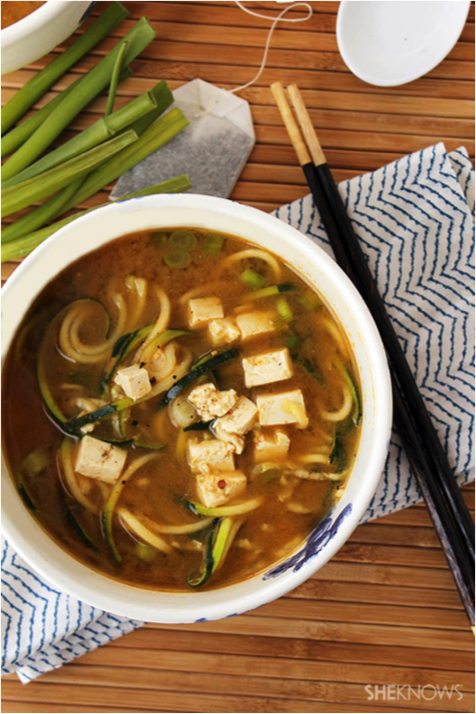 Miso, soy sauce, and sesame oil join tofu, zucchini noodles, and ginger for a bowl of soup that She Knows claims to be “comforting, light, satisfying, and extremely flavorful.” The use of zucchini noodles—as opposed to “regular” noodles—also cuts down on calories, making this a good option for soup-craving consumers watching their kcals. 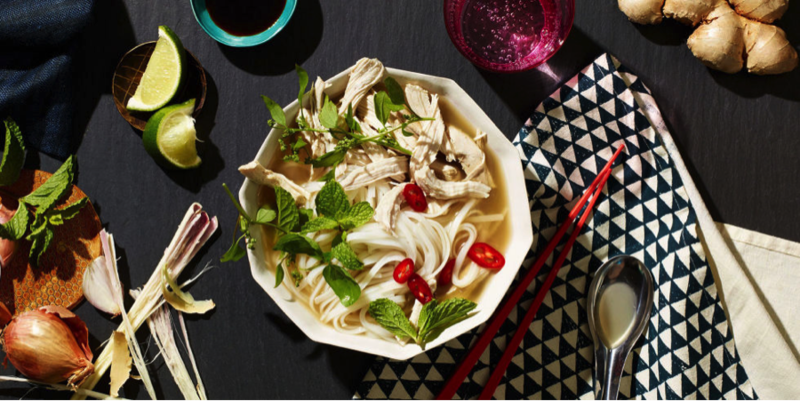 Chicken noodle soup gets the Thai treatment in this recipe from Delish. The broth is made from a combination of chicken broth and Green Tea with Mint tea bags from Lipton (but you can improvise with your favorite brand or loose leaf) in addition to shallots, ginger, and lemongrass. Added flavor courtesy of soy sauce, fish sauce, and lime juice. 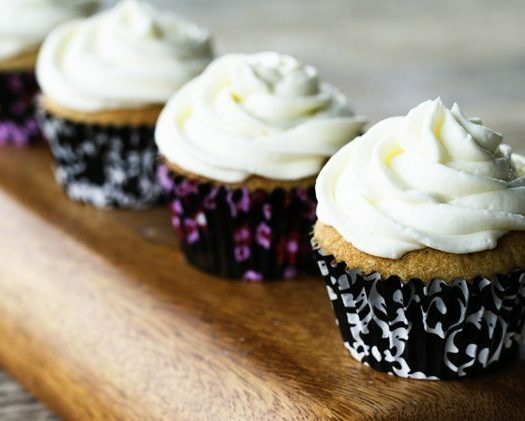 Use green tea soba noodles for an extra dose of green tea flavor. 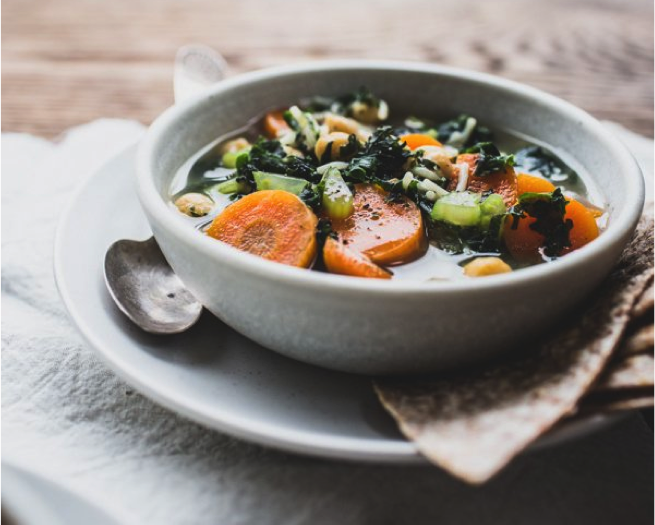 This hearty soup recipe from Top With Cinnamon will warm and fill you up this fall. The base is made with green tea and vegetable or chicken stock, and it’s filled with carrots, celery, kale, chickpeas, and spaghetti. Wholemeal tortilla chips provide extra texture to finish things off. 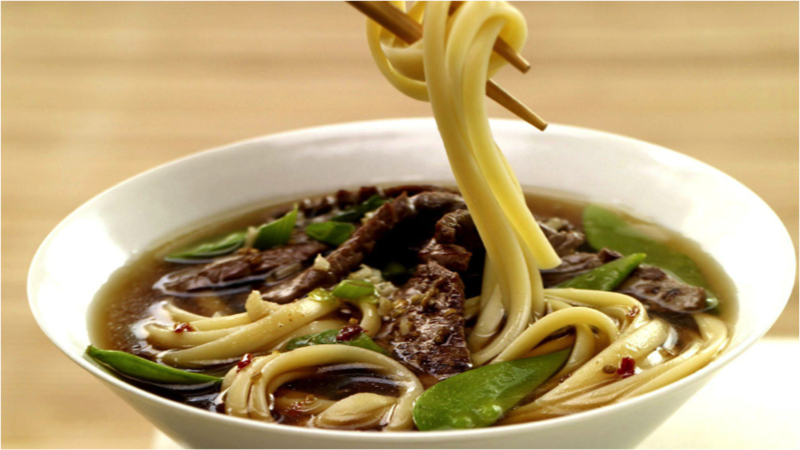 This recipe from McCormick calls for Lapsang-Souchon tea bags (a Chinese black tea) and beef stock to make the base. You’ll get your protein from the recipe’s boneless beef sirloin steak strips and vegetable servings from snow peas and green onions. Additional flavor from minced garlic, anise seed, crushed red pepper, and sea salt makes this Asian-inspired recipe a standout. 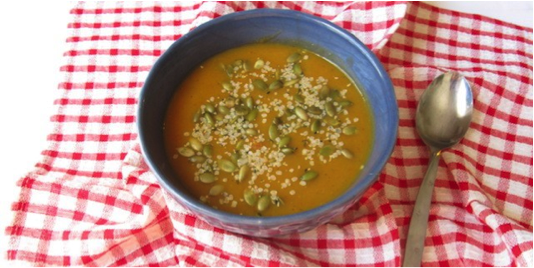 This recipe from The Cup of Life brings black tea to a classic fall soup: butternut squash. Specifically, this recipe uses Keemun, a black tea from China, in its broth base. 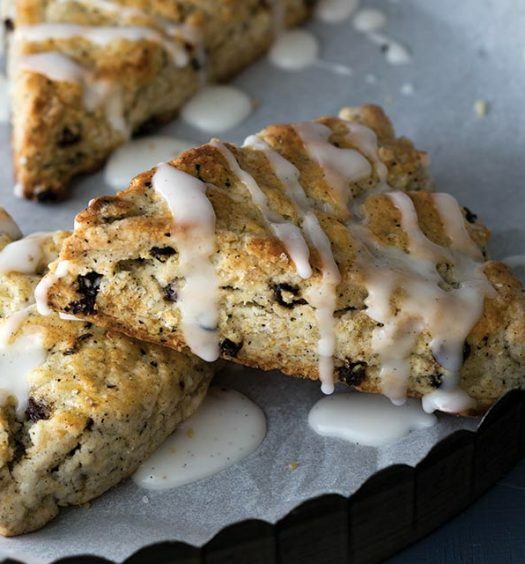 Blogger Lu Ann Pannunzio describes the tea’s flavor as “strong and rich” with “toasty notes” and “some slight smokiness.” Joining tea and butternut squash are potatoes, carrots, thympe, sage, pumpkin seeds, and hemp seeds.